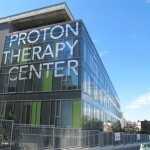 Check out the latest news about proton therapy: this week, find out how this state-of-the-art treatment modality is helping children and young adults from all over the world fight against cancer. Abbie Dunn, a 22-year-old girl from Fishguard, UK will travel to the United States in May to undergo proton beam therapy on her rare brain tumor thanks to the incredible response to her fundraising campaign. Abbie was diagnosed with a walnut-sized craniopharyngioma in May 2013. She underwent a 10-hour surgery the following October to remove part of the tumor, but she was told in February this year that the tumor had started to grow again. 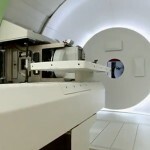 She was advised that the best course of treatment would be to travel to the United States for proton beam therapy, not yet available in the UK. “Abbie has learnt to accept what has happened and copes well with everything that is thrown at her,” said her mom Helen. “We have put in an application to the NHS to fund her medical expenses; however like other families in this situation the financial pressure we are facing is huge.” The family launched their Just Giving fundraising page on February 28, with a basic target of £10,000, and that amount was soon exceeded thanks to generous donations from the public, local businesses and fundraising events. Helen said: “My family and I are so overwhelmed at the kindness, support and donations we have received. We set up the Just Giving page for three reasons; firstly to raise awareness for this rare disease, secondly to raise money to support Abbie on her journey, and finally we are hoping to raise enough money to support other families who are also heading out to the USA for proton beam therapy.” Abbie and her family will hopefully be heading out to the US in May. 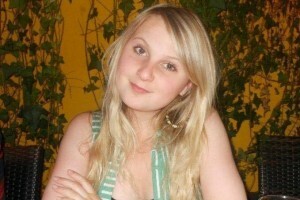 If you would like to make a donation, visit https://crowdfunding.justgiving.com/abbie You can also leave her messages of support. 8-year-old Harrison Brailsford from the UK needs proton therapy for his Ewing’s sarcoma. His mom and dad are fighting to raise about £11,000 so their family can travel to America for the life-saving treatment. Harrison was diagnosed with Ewing’s sarcoma last November, a cancer found in bone or soft tissue. “One Friday Harrison had a pain in his leg and by Sunday he couldn’t put any weight on it and had a high temperature – a week before he had been cross-country running and swimming,” tells his dad. “Our world fell apart when we were told, you just don’t expect it.” As doctors said surgery was too risky due to the tumor location near the spine, Harrison had 4 courses of chemotherapy with another due at the beginning of March. 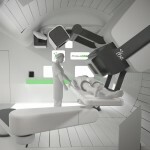 Now, the only course of action left is proton therapy, which targets a precise beam of protons at a tumor to destroy it. Harrison will have to be in America for about 8 to 10 weeks, and on his return to Britain, he will need to have 7 more chemotherapy courses. The treatment is being funded by the NHS, which is also paying for travel and accommodation. However, his parents are anxious to take their daughters Madison, 10, and Megan, 4, with them. “We would like go to America as a family to be with Harrison while he has his proton therapy but obviously finding the money to do this is quite difficult,” his dad said. “Every little bit of money raised will be a great help and if there is anything left over we will donate it to Ward 27, the children’s cancer ward at Leicester Royal Infirmary.” Friends of the family have set up a website to help raise the cash. For more information and to make a donation, visit: http://help4harrison.com/. Benjamin Carter, a brave 11-year-old schoolboy from the UK, has started a specialist cancer treatment in the US on Monday, which is not yet available in his country. Benjamin suffers from rhabdomyosarcoma (RMS), a type of cancer that affects the muscle tissue in his larynx. He was diagnosed last September, when doctors thought he had a polyp on his vocal cord. He went in for surgery, but it was soon discovered he had a mass of tissue on his larynx. He was then referred to a hospital in London, where he started chemotherapy in November. 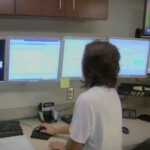 Ben is now receiving treatment at the University of Florida Proton Therapy Institute. He flew out to the US on February 15 to undergo proton therapy every day from Monday to Friday in 28 sessions and irradiate diseased tissue. He will remain in Florida until April 25, along with his mom and 3-year-old sister. His dad has just returned to the UK for work. His mom said: “We tried to make it feel more like a holiday to start with, because now he has started the treatment, he will go downhill. He will get to the stage where he cannot feed himself or swallow. Ben’s still petrified of the treatment because I can’t go in the room with him because of the radiation. It’s a totally new experience, but I’m hoping it will become easier. We’ve tried to make it as normal as possible, but I think it will be a culture shock now that his dad’s gone.” To donate to Ben, visit www.gofundme.com/zktgee7w – the money will be used to make the trip as comfortable as possible for the 11-year-old. And to follow his journey, visit his blog at tinyurl.com/je4f5tv.